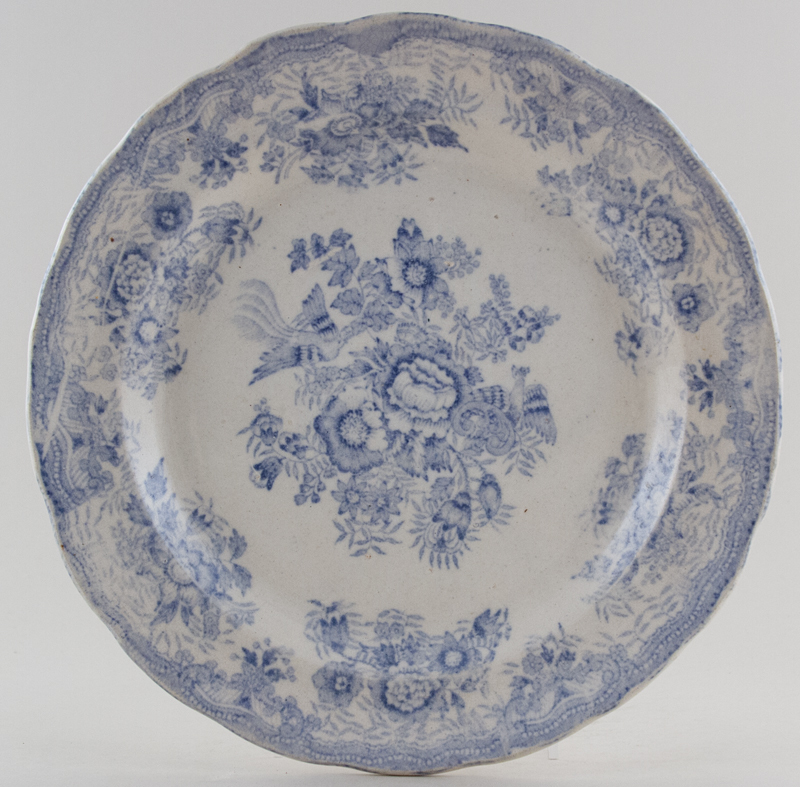 Wavy rim plate. Backstamp: Asiatic Pheasants H Bros F Leadless Glaze. We believe this to be Humphreys Brothers but cannot be absolutely certain. Light all over crazing and blemishes and pitting to the face.